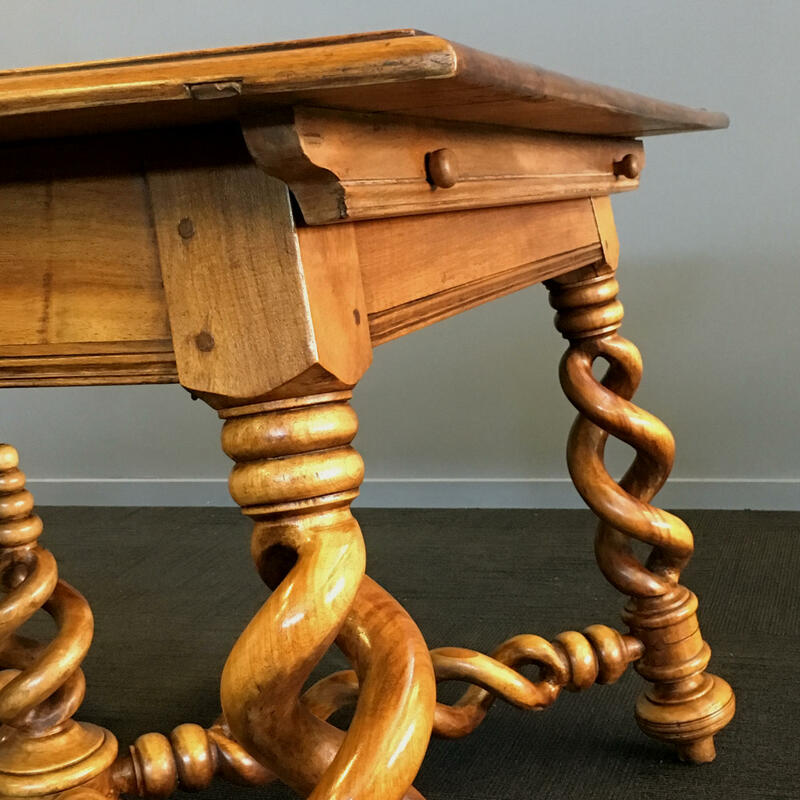 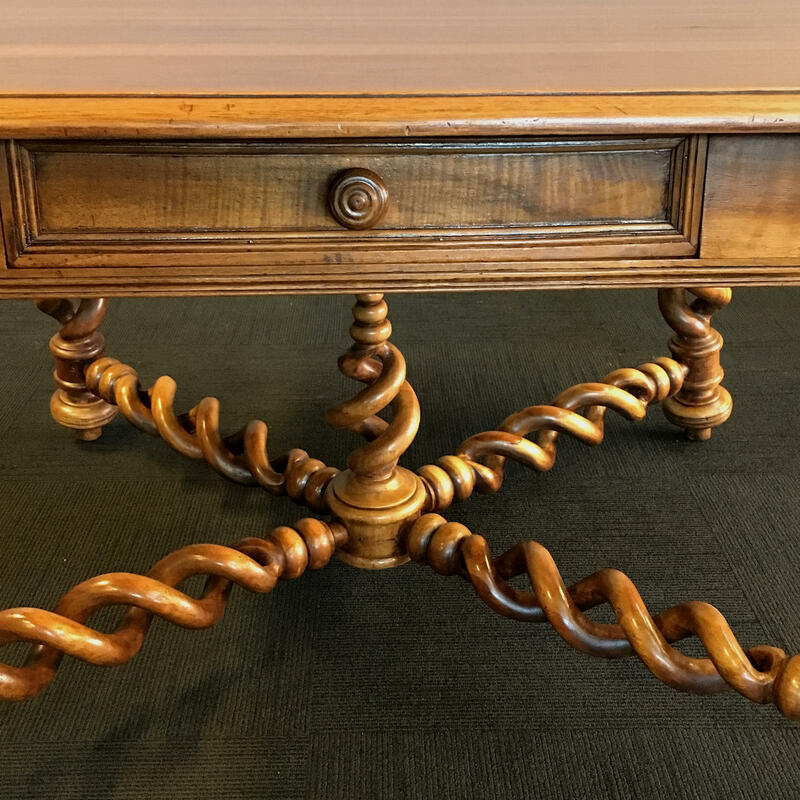 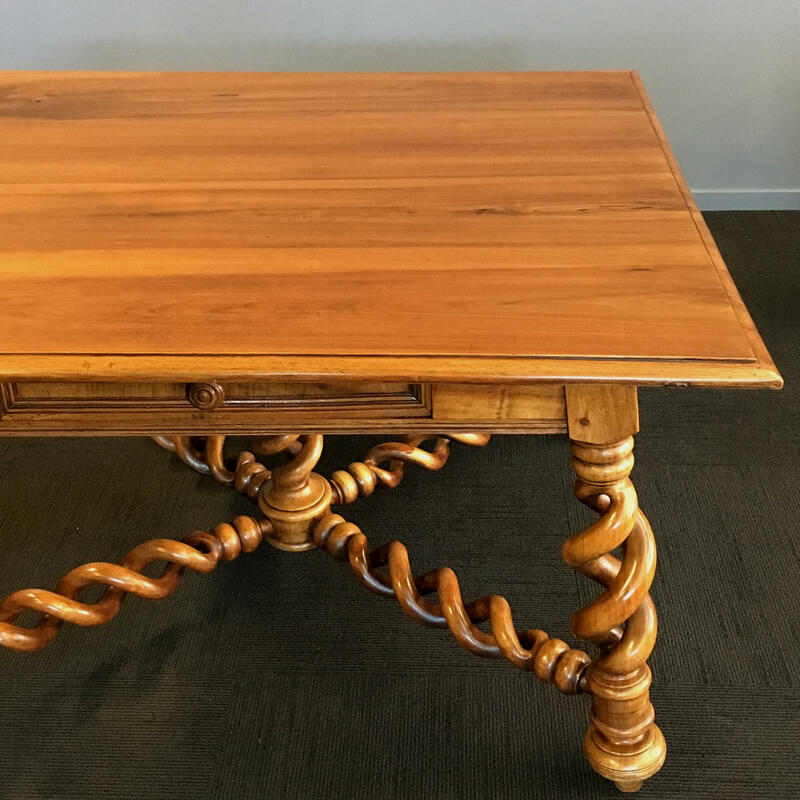 Antique French Fruitwood Centre Table in the Louis XIII manner with drawers and open barley twist splay legs and stretcher. 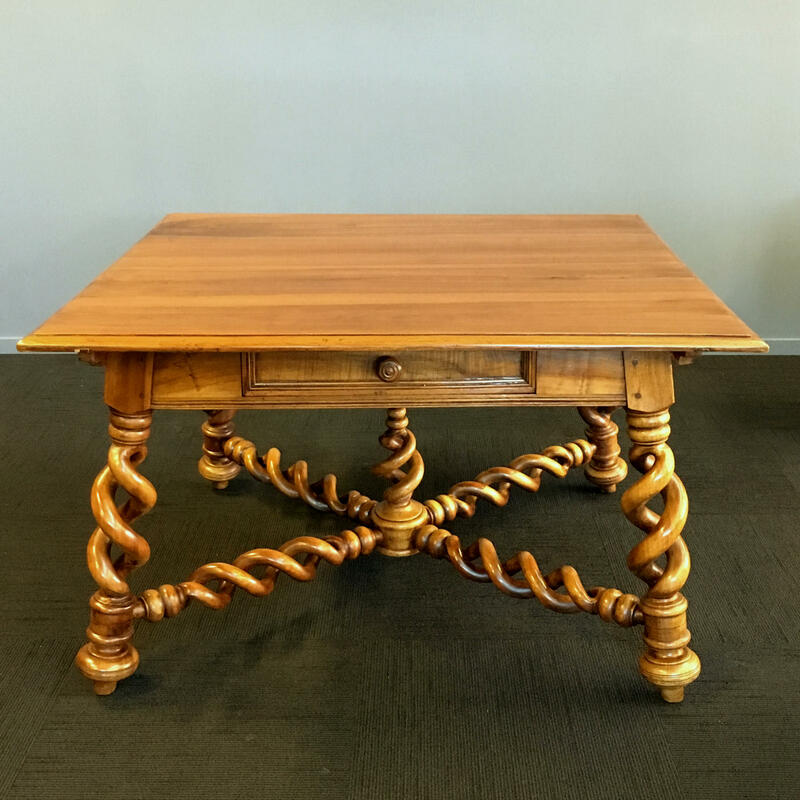 This table is from the Burgundy Region in France and dates from the 1890s. 130cm Wide, 113cm Deep, 79cm High.